Here's something you can throw at your players to watch them chuckle, then squirm, then recoil in abject terror... We present to you the Murder Urchin! It has stabby natural defences. It covers itself in poison. Its feces-caked claws cause infection. It curls up into a Prickly Ball of Contempt. Its stench is a weapon. It can become a rolling ball of death. Have we mentioned it's angry? Oh, so angry. If you're looking to include a creature into your games that'll stink shake things up a bit, then check this out. We feel that absurd gallows humor grimdark is the way to go sometimes... There's nothing quite like some good laughs before the party is wiped out. 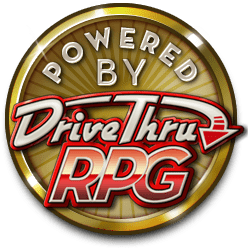 While this offering is system-neutral, some stats and such have been provided so that GMs with most rules systems should get idea on where to go with stats, abilities, and attributes. This title was added to our catalog on May 22, 2014.